Often I have heard people declare that The Cars were ahead of their time and I say that it is decidedly so. The 1981 album “Shake It Up” proves it in a good sense. True, the album is a little more pop oriented than its predecessors but I can’t help thinking that they influenced a generation of synth pop bands that would come about in the middle of the decade. I’m not saying they sold out here, no way. 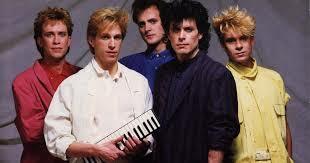 It’s just those pop bands tried to imitate The Cars and not very well either. If the tracks “Since Your Gone” and “This Could be Love” were played at trendy 80s clubs in London, they would have gone down very well there and probably anywhere else in the world. These two songs could be fore runners to all of that and the best thing here is that they are far superior to any of that stuff. Greg Hawkes is a total keyboard wizard here. There are still much of the things they did well on those other album that are present on this one. “Victim of Love” is one of those songs and I have always liked the title track as well. “Cruiser” is a very good song as well. I guess that what I am trying to say here is that The Cars ushered in a new style of music without even realising it and did it by doing what they had always done very well. The obvious conclusion I can draw here is that The Cars pioneered music into a new direction in the late 1970s and early 80s. They were doing lots of great new things before the pop bands took over only The Cars did it much better. Proof in the pudding is the “Shake It Up” album. Next post: Diesel- What’s In a Tank? We’ve established that bands whose second albums don’t match their debut one is the sophomore jinx but what about a band’s third album? Does that make it the junior jinx? Those who went to high school in North America will know what I’m talking about here. 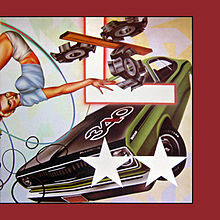 Some people may put that branding on the third album by The Cars since many consider it not as good as their first two albums. I’m inclined to agree with that. “Panorama” isn’t quite as good as the self titled debut nor “Candy O.” Still, this in no way makes it a bad album, in fact, I very much enjoyed listening to it. 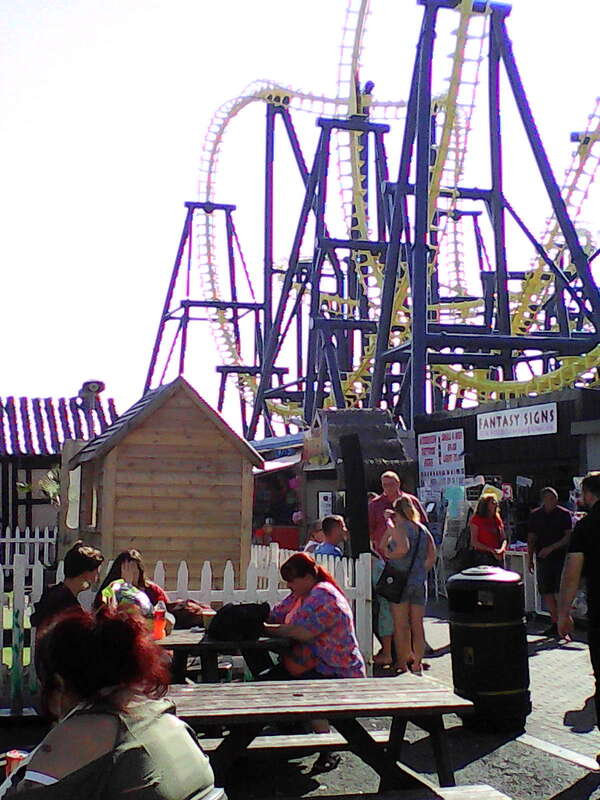 Why do people consider “Panorama” to be not as good. I explanation I can offer (and I whole heartedly agree with Stone over at Metal Odyssey with this) was that in the last two years of the 70’s, The Cars were ahead of their time. The problem was that by 1980, time was catching up with them. Many rock artists had a listen to them and thought, “These guys got something here.” Therefore, in 1980, many started to copy their unique sound. So when the third album wasn’t anything totally different, the reception wasn’t as great. However, a more simpler reason is that it’s hard enough following up one great album, it’s even harder to follow two. BTW, The Cars weren’t the only ones to experience this in 1980, but you will have to stay tuned for the other one. 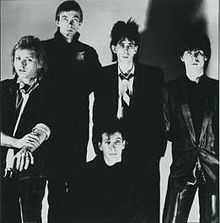 “Panorama” starts off well with the title track and goes quickly to the song “Touch and Go” which I know from having their greatest hits album. I’ll admit that it’s not the greatest of their greatest hits, but it’s still a good song and the next two songs “Give Me Some Slack” and “Don’t Tell Me No” carry the album through fairly well. Then comes track five, “Getting Through” that really grabbed my attention and kicked things into gear, a very good song to say the least. “Misfit Kid” is a good bridge to the next really memorable track, “Down Boys.” This to made me stop what I was doing and listen more closely, I especially liked the introduction. The next track, “You Wear Those Eyes,” didn’t impress me at first, then came a very interesting guitar bridge and that turned my opinion on the song. 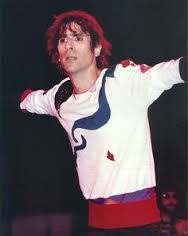 As I said before, Elliot Easton isn’t a great guitarist all the time but he definitely shines when he’s needed to. The final two tracks do their job in taking the album home. So all in all, there is absolutely nothing wrong with “Panorama,” it’s a good solid album from a group that doesn’t disappoint. 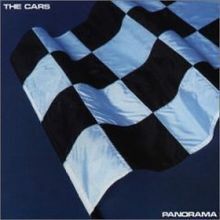 The rest of the rock world might have caught up with The Cars in 1980, but that doesn’t make “Panorama” a bad album. It was an enjoyable listen but then again, people tried to duplicate them but The Cars are the original thing. 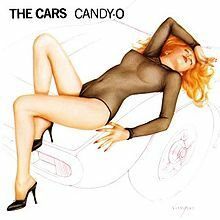 Here it is, the long awaited visit to the second album by The Cars, “Candy O.” One term I will be batting about quite a bit here is “Sophmore Jinx.” I used it once before when I visited the “Don’t Look Back” album by Boston and I will use it a lot more when I visit the second album from any rock or metal act. 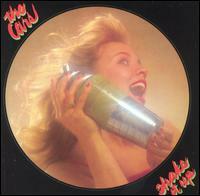 Like the Boston album, this second album from The Cars definitely escapes the sophmore jinx. To me, “Candy O” is every bit as good as the first album. When compared to the first album, there are lots of similarities between the two, however, “Candy O” still sounds fresh. The singles from the album “Let’s Go” and “It’s All I Can Do” sound unique in their own right and the entire album gives that familiar Cars sound while at the same time doesn’t get old. I don’t know any other band who can create a sound where the guitars and keyboards completely compliment each other better than The Cars. This shines through with every song on the album. One thing that can never be omitted when talking about The Cars is the unique vocals of Ric Ocasek. As soon as I hear him, I know it’s definitely The Cars I’m listening to. This is another thing that makes this album so good and I now include Elliot Easton in my ever growing list of underrated guitarist. 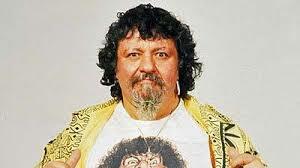 Okay, he doesn’t go into long cranking solos, but when you hear him play, it is done very well. “Candy O” is one of the more memorable albums from 1979. Originally, I wasn’t going to visit this album until I reached the end of 1978 because I didn’t know of it until early 1979. It was sort of the same thing that happened to me in January 1978 with the “Out of the Blue” album by ELO. The first weekend in 1979, I was driving home from hockey practice (street hockey) and the song “My Best Friend’s Girl” came on the radio. That became my first official song I liked for the year. 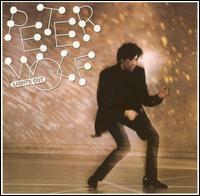 So you may be asking why am I visiting this album now and there are still a lot of great 1978 albums left to see. Well the honest answer is, “I don’t know.” I just felt the urge to visit this album here and now. Like in the case of Tom Petty and the Heartbreakers and Patty Smith, some ill informed numpties branded The Cars a punk band. I remember back in the year, many disco lovers simply shrugged it off as such and The Cars were probably easy targets for the narrow minded. Their look was something I would definitely call unique for 1978 as was the sound on the album. It was definitely something I had never heard before, but what I did know was that I liked it. Ric Ocasek has a vocal that is truly unique and at the same time familiar. Definitely his talents are underrated. As I continued writing this post, I remembered my incentive for posting this album now. A few days ago, I listened to their classic hit “Just What I Needed” on the car’s CD player. Hearing that made me want to visit the album. Another song on the CD is also behind the next post. 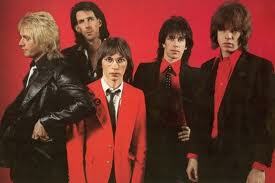 The debut album from The Cars established them as a serious act in the rock world. This is the first and arguably the best of many cool records from this memorable band.